The SK-TEK cradle is a rugged no-no-sense piece of kit. The rigid walls and well padded removable base are all lined with fish friendly and heavy duty PVC material. The clever folding design means the cradle is compact to carry and quick to setup. 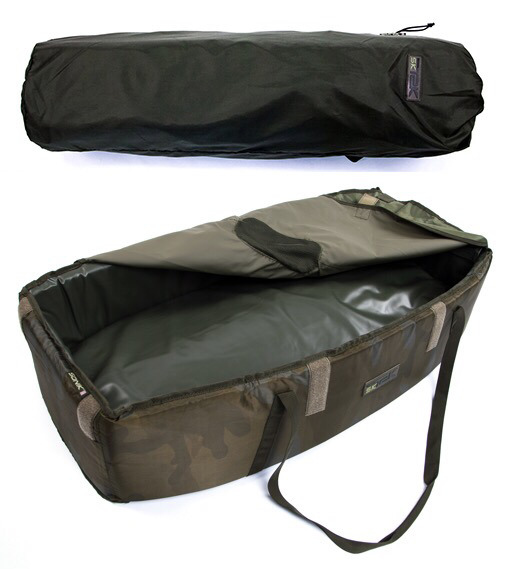 The mesh base is quick draining and drying and the top flap Velcros in place to keep your catch calm and secure.